Dr. Andrew Dixon, former dean of the UCLA School of Dentistry and professor, died from cancer on Sept. 28. He was 91. Dr. Dixon was dean from 1973 until 1980. 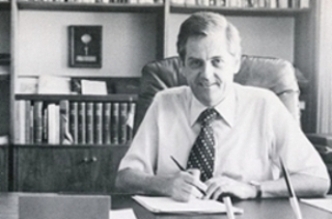 He was the third dean of the school, and he retired from UCLA in 1992. Dr. Dean came to Los Angeles from the University of North Carolina, where he had been director of the Dental Research Institute. He was a member of the National Academy of Medicine, co-edited a book on craniofacial growth, and authored intriguing publications about the development of the palate. During his time as dean, Dr. Dixon made innovation a priority, while placing the same importance on fulfilling the mission of the school, which was to train dentists to provide quality dental care in California. Dr. Dixon is survived by his wife, Mary Dixon.